Most Asian stocks rose on Monday as crude oil prices rebounded after settling nearly 3 percent lower on Friday and better-than-expected jobs data out of the United States helped bolster investor confidence in the world’s largest economy. Japanese shares closed notably higher as a weaker yen lifted exporters, helping offset weak current account and core machine orders data. While Japan’s current account surplus fell for the first time in four months in May, core machinery orders unexpectedly tumbled due to persistent weakness in the services sector, separate reports showed. The dollar hit a two-month high versus the yen after U.S. job growth surged more than expected in June, adding to market expectations for a third U.S. rate hike this year. 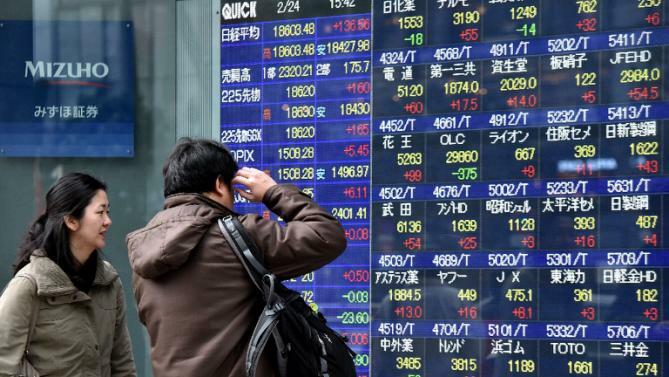 The Nikkei 225 Index climbed 151.89 points or 0.8 percent to 20,080.98, led by gains by exporters, shippers and tech stocks. The broader Topix Index closed 0.5 percent higher at 1,615.48. Australian shares eked out modest gains, driven higher by banks and retailers. The benchmark S&P/ASX 200 Index closed 0.4 percent higher at 5,724.40 to snap three days of losses. The broader All Ordinaries Index rose 0.3 percent to 5,762.90. The big four banks rose between 0.4 percent and 0.9 percent, tracking gains among their U.S. peers on Friday. Retail giant Woolworths rallied 1.1 percent and Harvey Norman Holdings advanced 1.8 percent. Meanwhile, Chinese stocks edged lower as investors awaited a raft of data due out next week. The benchmark Shanghai Composite Index dropped 6.11 points or 0.2 percent to 3,211.85, although Hong Kong’s Hang Seng Index climbed 159.21 points or 0.6 percent to 25,500.06. Markets shrugged off June inflation data, which did little to alter investor views about the economy. Consumer prices in China rose an annual 1.5 percent in June, the National Bureau of Statistics said. That was unchanged from the May reading but shy of expectations for a score of 1.6 percent. The producer price index rose 5.5 percent, unchanged and in line with expectations.